I have some news…..I’m moving! My husband and I are buying a house in the surrounding area where we live. It’s the perfect time to declutter, and that’s why I’m happy to have found thredUP. I love secondhand shopping. I frequent Good Will, local secondhand and consignment shops, and even vintage boutiques. The second hand part is where thredUP comes in. ThredUP will sell or consign good secondhand clothing for you through their website. The payout isn’t that spectacular, and they don’t accept most of what’s sent, but it seemed like a good idea to get rid of a lot of stuff and perhaps get some scratch for it. I heard about thredUP from my sister in Facebook. I decided to check it out for myself. Before I knew it, I had ordered three of their Clean Out Kits. I had a ton of stuff to get rid of. I had a lot of clothes that I didn’t wear, didn’t really bond with, and didn’t even take off the tags. Time to go. I sent two bags of clothing and one bag of shoes. I’m waiting to see what I get in the meantime, as the bags have not bee processed yet. It apparently takes a long time. Still, I love to browse thredUP, and head over there a few times a day. I did make two orders, and so far with what I bought, I’ve been happy with, such as with the Cole Daniel dress I’m wearing to work in the above photo. I got it for $8.49!!! I a dress tank top, a short sleeved turtleneck, both black, a really cool striped long sleeved shirt, a pair of green khakis from Old Navy, and a pair of dress pants. I’m anxious to model my finds! If you want another take and review on thredUP, I recommend heading on over to Refunk My Junk and see what her take is. Her review is similar to mine, but she has an excellent walk through of the site, including the closet cleaning kit. Overall, I’m impressed with thredUP. It’s a great way to get rid of stuff, maybe make some money, and find things at a good price. I’m glad that they tell you about the wear and tear of items, and that they are precise in what they look for. What I don’t like is how picky they seem to be. It’s almost a shot in the dark to see what they’ll take. I will admit that they are upfront with the rules and what they will and won’t take. Go through their list of acceptable brands, too. I also think their shipping costs are pretty expensive, but they’ve got pay for all those free Clean Out Kits somehow. Want to check it out and see what thredUP’s all about? Curious to find your own deals? Anxious to clean out your closet? Click here for my affiliate link. You get $10.00 to spend! If you spend those $10.00, I get $10.00, too. That can go pretty far on thredUP! 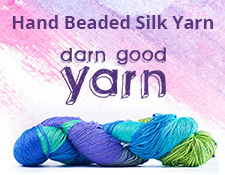 I’ll get back to the knitting stuff in a few days, but I just wanted to share this review with you. What has been your experience with thredUP or similar sites? Posted on May 31, 2016 May 31, 2016 by jennabee25Posted in RamblingsTagged clothing shopping, online consignment shopping, refunk my junk, secondhand shopping, shop review, thredUP, thredup review.